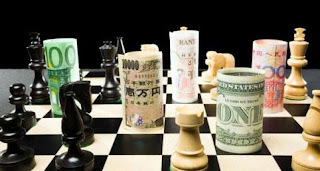 Why would global elites destroy a useful monetary tool like the dollar? Why kill the goose that “lays the golden eggs”? At bottom, men who promote the philosophies of globalization greatly desire the exaltation of a global currency. The dollar, though a creation of a central bank, is still a semi-sovereign monetary unit. It is an element that is getting in the way of the application of the global currency dynamic. I find it rather convenient (at least for those who subscribe too globalism) that the dollar is now in the midst of a perfect storm of decline just as the IMF is ready to introduce its latest fiat concoction in the form of the SDR. I find the blind faith in the dollar’s lifespan to be rife with delusion. It is not a matter of opinion or desire, but a matter of fact that currencies in such tenuous positions fall, and are in the end replaced. I believe that the evidence shows that this is not random chance, but a deliberate process, leading towards the globalist ideal; total centralization of the world under an unaccountable governing body which operates a global monetary system utterly devoid of transparency and responsibility.